Masterful skill in battle and well-calculated planning has reaped high regard among your fellow mercenaries. 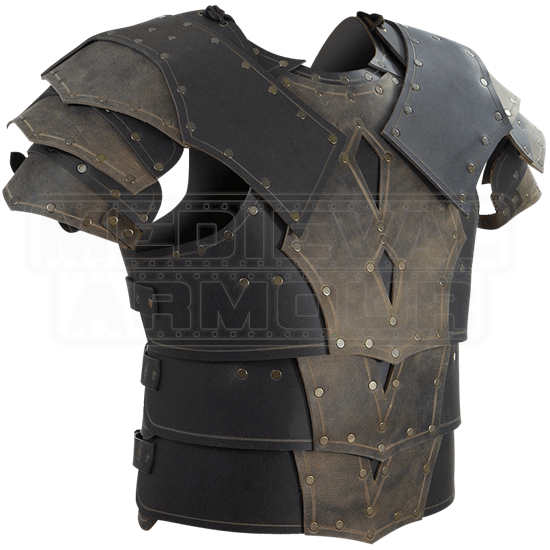 Suitable amour, such as the Mercenary Leather Cuirass with Pauldrons, will present well your capable warrior image. 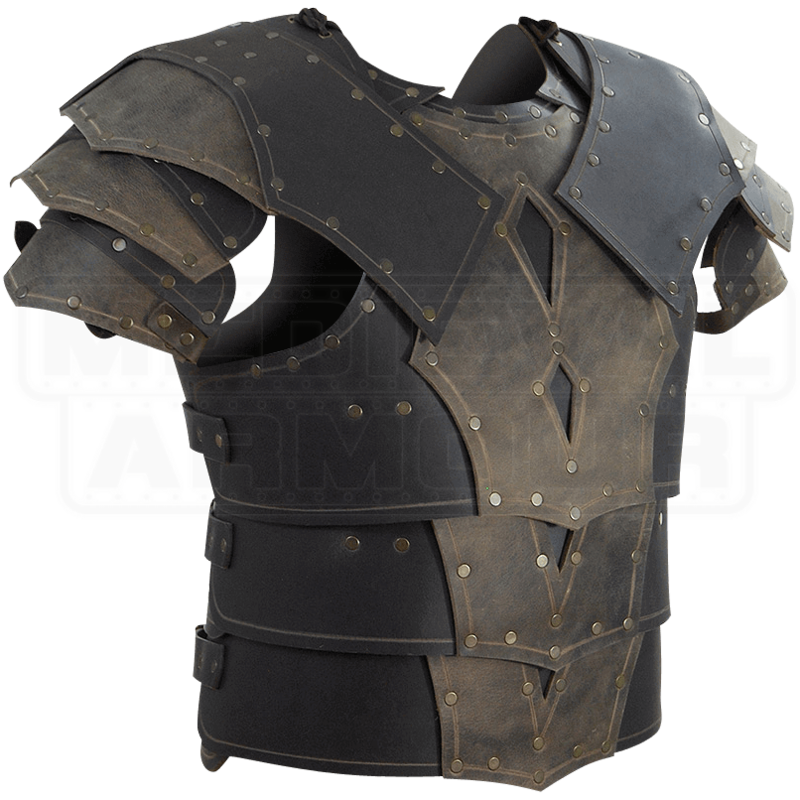 Handcrafted from high-quality leather, this body armour provides a solid defense upon the LARP battleground. Its two-toned segments form a stylish barrier for the upper body. Antique-brass plated rivets and detailed edging attract the eye. Adjust this armour to your comfort and fit with the six buckles in the back. The eyelets at the shoulders make it easy to attach the included pauldrons.